Question: What is full form of SPL? It is collection of interfaces and Classes. Question: Do we need to download library for SPL? No, We need not to download external library. Question: What does provide SPL? 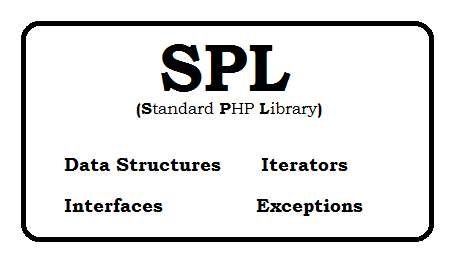 SPL provides following Iterators, Interface and Functions. 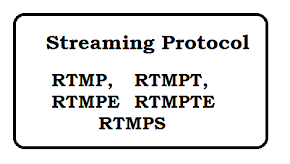 Set of standard Data Structure. Question: What classes are available in SPL data structure? Doubly Linked Lists: It is a list of nodes linked in both directions to each other. Iterator operations, access to both end node, addition or removal of nodes. Heaps: Heaps are tree-like structures that follow the General heap, each node is greater than or equal to its children. 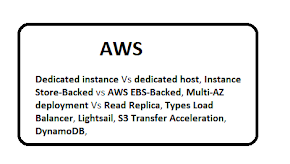 Arrays: Arrays are structures that store the data in a continuous way, accessible via indexes. Map: A map is a datastructure holding key-value pairs. 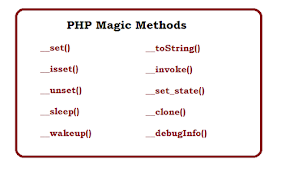 PHP arrays can be seen as maps from integers/strings to values. Question: What Iterators classes are available in SPL? Question: What Interfaces are available in SPL? Question: What Exception classes are available in SPL? Question: What are the advantage of iterators? Laziness: the data is only fetched when you actually need it. Reduced memory usage: SPL iterators encapsulate the list and expose visibility to one element at a time making them far more efficient. Question: Give an example of Iterating Arrayst? Question: Give an example of Iterating Directory Listings? Question: Give an example of Iterating Directory Recursively? 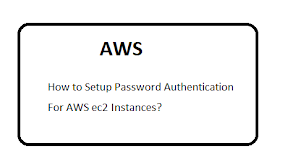 How to install redis on wamp server?. How to add number of days to a date?. New PHP 7 Feature List.